In the weeks leading up to our (first) studio opening party, Future Wife's inbox was neglected and slowly becoming quite unruly and unmanageable. 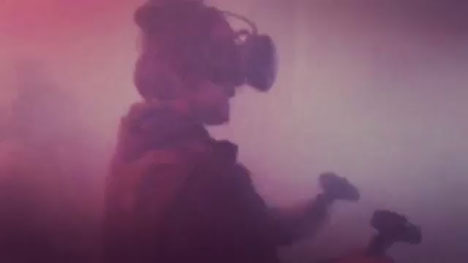 So instead of managing it, we built a surreal virtual reality experience designed to simulate the feeling of flying through e-mail responses like a hot knife through butter. The experience was available for guests to partake in during our opening party, but they had to be willing to do so in the middle of our dance floor. People who partake in the experience are given two AK-QWERTY 7s that use keyboards as clips and keyboard keys as ammunition, and then are presented with an onslaught of actualized e-mail puns that they must reply to by shooting. There is no win state, but after a certain amount of time their reply stamina regenerates and they can attempt another reply binge. Currently an e-mail login page is being developed that will allow the player to login to his or her actual e-mail account. 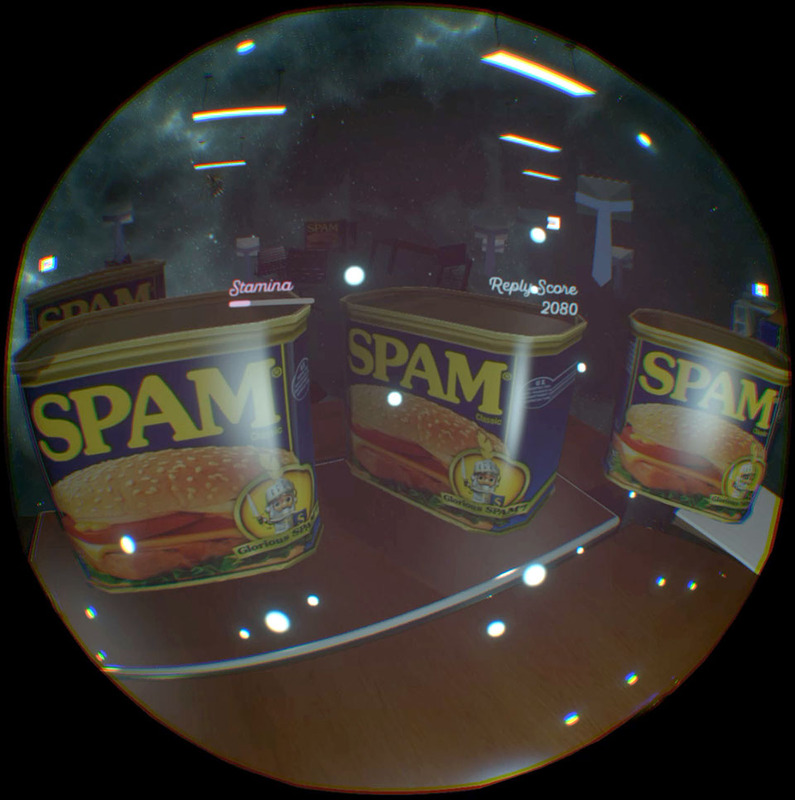 Once logged in, enemies will be spawned based on the player's unread message count and type, and when he or she defeats the virtual e-mails by shooting keys at them, their actual unread source e-mails are replied to with a random string of characters, successfully managing his or her actual inbox.